Note: This is the full version of the article published in the December 2018 newsletter for American Pilgrims on the Camino (See “Letting Go” on page 7 of La Concha). While there are many lessons that the Camino has provided, the greatest one for me has been to let go, both literally and figuratively. I am filled with gratitude for the lessons. First, the literal letting go of stuff. 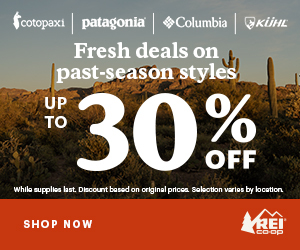 After my first Camino, I had the urge to purge my closets. I realized that if I could survive with just a few items in a backpack, I really didn’t need all these clothes, some of which hadn’t been worn in years. I hadn’t noticed that I accumulated an embarrassing amount of stuff over 20 years of living in the same house. During the “Great Purge of 2016,” I divvied up piles and offered them to my workmates, consignment shops and Goodwill. It felt good to know that someone can use stuff I didn’t need. The reward of having less made my choices easier. Whew! I vowed to not buy more and continue the purge on an ongoing basis. Next to go were some control issues. Yep, I was a bit of a control freak before the Camino. While I loved to plan goals for myself, I occasionally veered into other’s lives and tried too hard to organize theirs. Instead of trying to change someone’s behavior, I changed my reaction to it. I had to take a serious look at my priorities, and let go of some toxic relationships, as painful as it was. I learned that it’s much better to let people find their own way. What a relief that was! Finally, the greatest lesson was to let go and let God. When we discovered I needed to have surgery to remove fibroids—another purge of sorts—it was clear that God had different plans for me. I had to cancel a trip to India for yoga training. Instead, I savored the holidays at home with family, went through the surgery, and healed. I was grateful for every breath, every day, and everyone in my life. My church helped me through all the challenges of letting go, and provided the spiritual connection I felt on the Camino. I felt so supported, as if angels were surrounding me! I decided to get confirmed as Catholic, the only sacrament that I skipped when I was young. The Camino set these changes in motion. Less is more, life is simpler, and God has my back. For these lessons, I am deeply grateful. Below is a photo of participants in the RCIA (Rite of Christian Initiation of Adults) program at Corpus Christi parish in Piedmont, California. 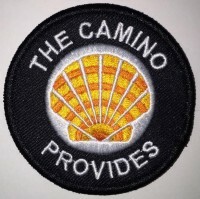 I wore my two shells that I carry on my Caminos. The three of us—a Buddhist, a Protestant and a Catholic—were confirmed after finding our way and letting go. Catechumens, Class of 2017. Peace – Out! ← Happy Holidays & Buen Camino!